U-8 was the first U-boat lost, being sunk by ‘HMS Maori’ and ‘HMS Gurkha’ on March 4, 1915. The ram became the favorite method of submarine destruction. Britain: Admiralty decides the 29 PoWs of U8 cannot receive ‘honourable treatment’. Germany threatens reprisals on April 2. Shells and Fuses Agree­ment allows use of unskilled labour and women. Cameroons: Second Action at Harmann’s Farm: both sides retire, 550 British soldiers dig in at Fort Bare after some panic. Dardanelles: Anglo-French bombardment of Dardanelles forts continues. 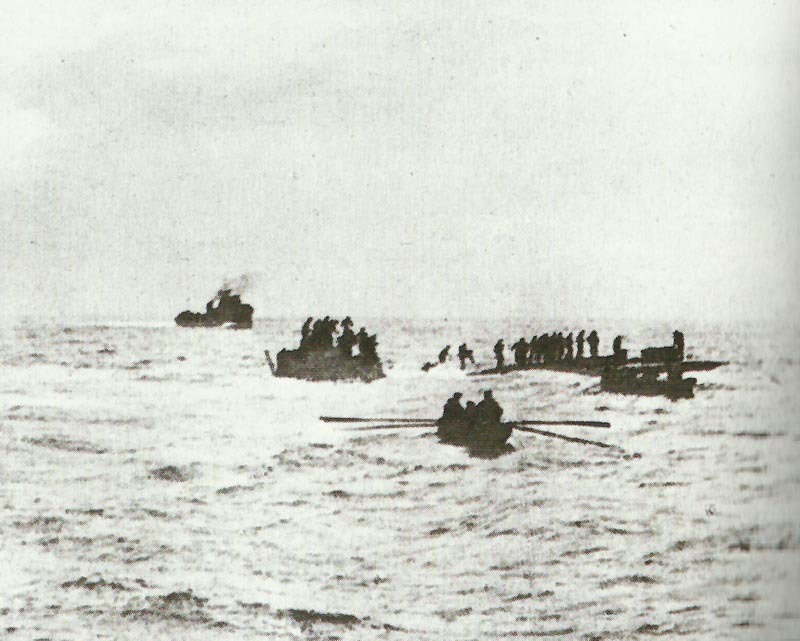 5 troop transports arrive at Mudros. 300 Royal Marines (48 casualties) repulsed on both shores, only 4 MGs destroyed. Admiralty sends instructions on reducing Bosphorus forts. Enver Pasha request made in Vienna to buy 3 Austrian U-boats at Pola for Dardanelles defence, but only 2 operational and not feasible. Dardanelles: Royal Navy Air Service and French floatplanes spot fall of shot for Allied bombardment of Turk forts. Western Front: German Navy airship L8 shot down by Belgian troops en route to London. Italy: Ambassador Imperiali tells British foreign minister Grey territorial conditions for joining Allies.